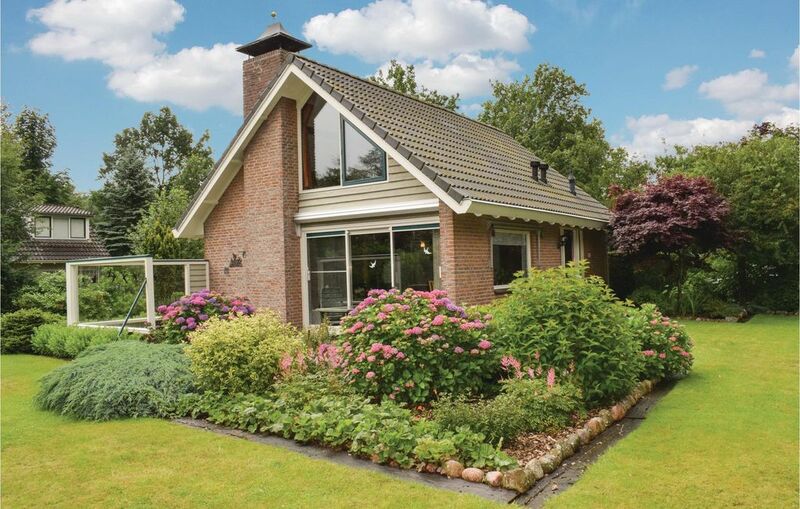 This charming cottage in located in a tranquil residential area in Zorgvlied, in the province of Drenthe. On the ground floor you will find one double bedroom, a bathroom and a stylish open-plan kitchen and living room with a cosy wood stove to warm you during the winter. The large sliding doors provide access to the open terrace, which furnished with an outdoor dining area and barbeque facilities, and to the beautiful garden where you can relax amidst nature. On the first floor there are two more bedrooms (one bedroom has a single bed and the other bedroom has a double bed) and a mezzanine with an extra bed. This holiday home can host up to six guests. The centre of Zorgvlied is within walking distance. From this cottage the possibilities for hiking, cycling and varied excursions are endless: cycle through the beautiful Dutch countryside, where you will be impressed by the vast landscapes and heathlands. Also visit the many picturesque fishing villages, such as the neighbouring village of Diever. This holiday home has a fantastic location between the national parks Dwingelderveld and Drents-Friese Wold, where you can hike through forests and airfields. You can also visit the characteristic village of Dwingeloo 14 km, the Natural Reserve Fochteloërveen 16 km away, the historic city of Assen within 30 km, and the shopping city of Meppel 34 km away. A wonderful place to rest and relax. The grounds are wonderful and great for children. A beautiful area of Drenthe. Ein sehr schönes Haus mit allem eingerichtet, was man braucht. Man kann gut abschalten, rundherum ist ganz viel Natur und es ist angenehm ruhig.